At Linath Infotech, we design for you, websites and mobile sites that will attract customers and increase your sales. Our professional team of web designers has many years of experience and they can deliver user-friendly sites that will increase the online presence of your business. 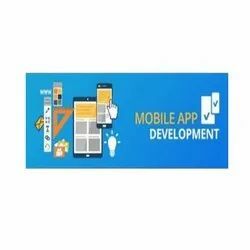 - With the remarkable raise in the number of users accessing the internet on their mobile phones, it is important for the website owners to get a mobile version for their websites. People are using the web from their hand-held devices at an ever increasing rate. Since the beginning of smartphones era in the market a lot has changed from traditional desktops to modern tablet, pc and laptops. On one hand this beginning has attracted a million users towards it but also the sales of desktops have gone down in last five years. Stats show that this rate is going to increase in 2013 as well. Our Mobile websites have shorter loading time as all site containts are mobile-firendly. while our responsive websites will also take short time to load as all components of desktop site are included, but in rearranged and resized layout.